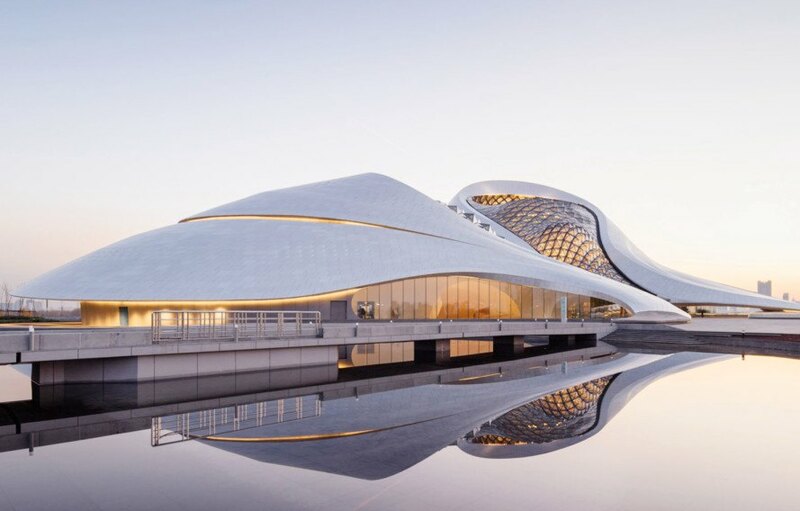 Beijing studio MAD has completed the undulating Harbin Opera House, the firm's first and largest project designed for the Harbin Cultural Island arts complex. The project reflects the configuration of the marsh landscape both through its form and choice of materials. The glass and aluminium facades allow natural light into the building and mirror the undulating landscape of the Songhua River wetlands. MAD won the international open competition for Harbin Cultural Island in 2010, with the opera house masterplan as the focal point of the development. The 79,000-square-meter building is embedded within Harbin’s wetlands and meant to blend into the untamed wilderness of the area. The large volume of the building is accessed via a bridge and wraps around a large public plaza. 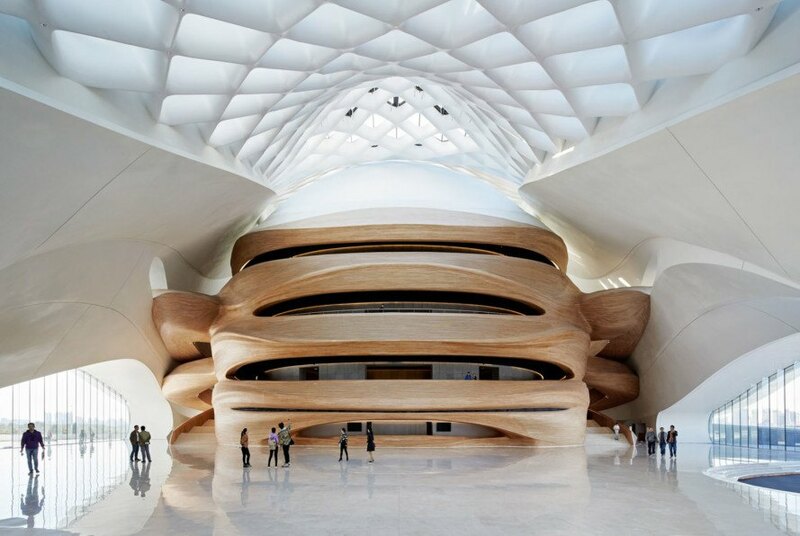 “We envision Harbin Opera House as a cultural center of the future – a tremendous performance venue, as well as a dramatic public space that embodies the integration of human, art and the city identity, while synergistically blending with the surrounding nature,” said studio founder Ma Yansong. MAD won the international open competition for Harbin Cultural Island in 2010, with the opera house masterplan as the focal point of the development. The 79,000-square-meter building is embedded within Harbin's wetlands and meant to blend into the untamed wilderness of the area. The large volume of the building is accessed via a bridge and wraps around a large public plaza.